We had moved on a little from last month's image. The birds were all on the shore side of us. They decided to go flying - and we were in the middle - the noise from the wings and their calling was incredible. They opened up to fly around us. No chance of changing lenses for a wider view. 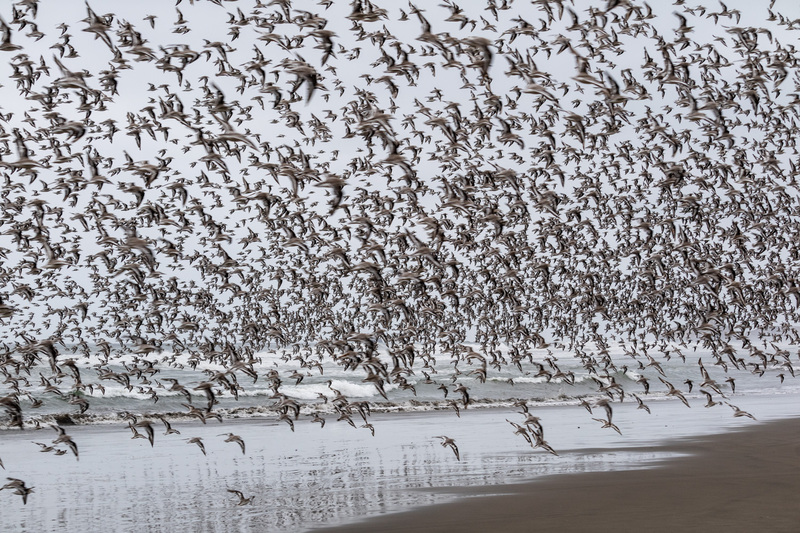 I'm not sure whether this image is any good from an artistic point of view, however, as a memory of being in the middle of thousands of birds, it is priceless!! EOS M3, EF-S 55-250 at 55mm, ISO100, f8, 1/400. Light processing in LR Classic. IMPACT! I would like to see "whiter" whites and "blacker"